A reliable solution for monitoring and managing water storage tank levels and volumes. Wireless, battery powered, cost-effective and easy to install. Reliable Tank Level and Volume Monitoring and Management. Trimble Unity software combined with Telog wireless, battery-powered level recording and volume calculation systems provide a GIS-centric cloud and mobile platform for tank level and volume monitoring and management. 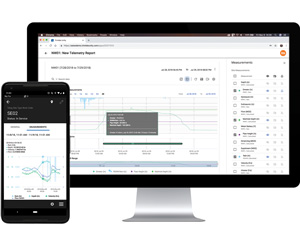 Telog level recorders can store data internally for many months, if required, and wirelessly transmit on a defined schedule or in response to alarms, providing a complete solution for water tank storage monitoring and management.